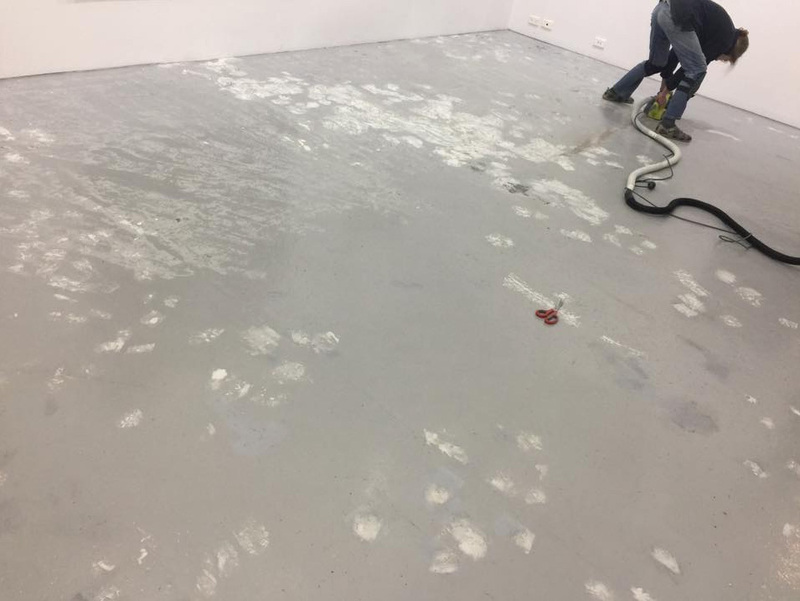 on Monday I helped sand the gallery floor at Artsite with a belt sander, it was hard yakka but Madeleine is a wiz she attached an industrial vacuum cleaner to the dust extractor hose and it worked a treat! That is absolutely beautiful. Mo. 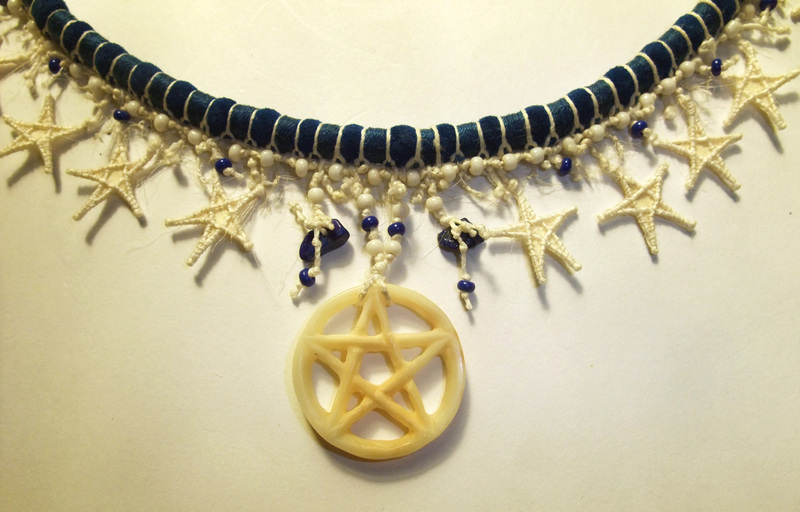 (((René))) I love making skin stars and the tagua is a delight to carve, it worked! 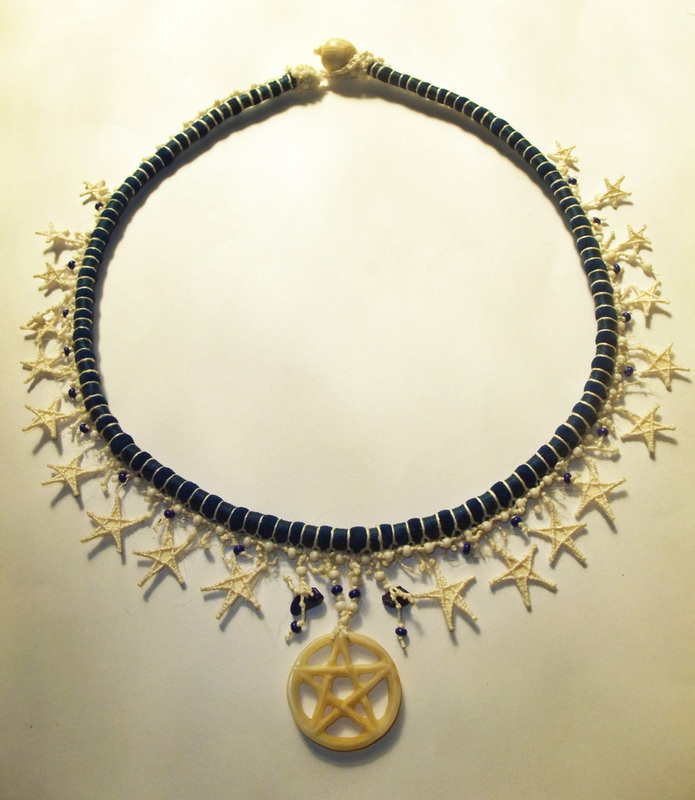 A Pentagram as stars………….this is so beautiful Mo……………. 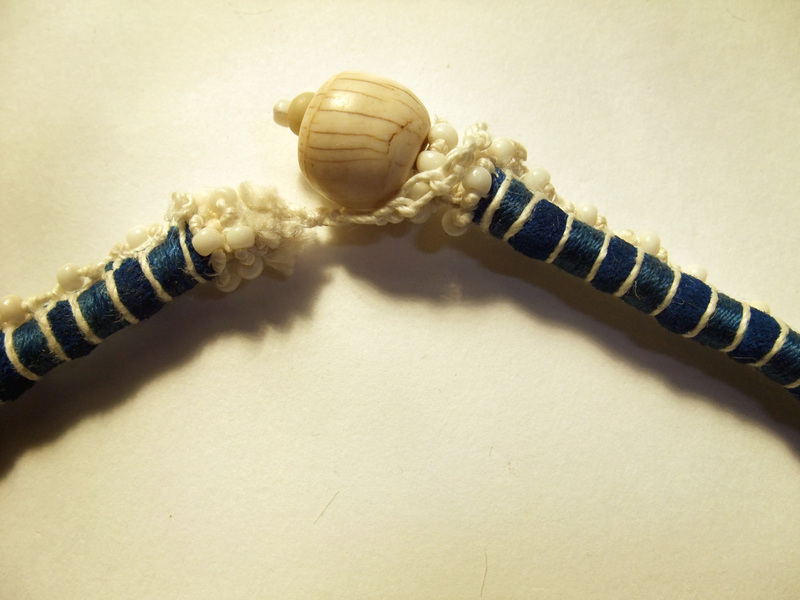 I particularly love the fastener bead. (((Wendy))) you know all about getting beads in snug and tight, the sun is coming up and I am taking more photos of your poignantly beautiful pennant which arrived in the letterbox yesterday afternoon, will post about it soon! Oh that is spectacular Mo! What a stunner and i do hope you get to wear it. And that is definitely hard yakka doing that floor – but it makes big difference – you are a star! A photo of this beauty on the wall of the gallery whilst you wear it to the opening … then placing the necklace itself on the wall at the end of the night perhaps? You just have to make another. Ha ha. Such intricacy. Beautiful work MO! (((Lana))) thanks for the good words! Really stunning and full of power. Wendy Watson’s pennant meets The Gathering!